Three decades ago, India’s lanes and bylanes were abuzz with the slogan, “Gali gali mein shor hai, Rajiv Gandhi chor hai (The cry emanating in every lane is that Rajiv Gandhi is a thief).” Thirty years down the line, Rajiv Gandhi’s son has raised a similar slogan ahead of the 2019 general elections: “Chowkidar chor hai (The watchman is a thief).” Targets may be different but the context is almost the same. Ahead of the 1989 general elections, then Prime Minister Rajiv Gandhi was accused of corruption in the purchase of the Bofors canons. This time, incumbent Narendra Modi has been accused of malpractices in the purchase of Rafale fighter jets. Both the defence purchases created an uproar in Indian politics. 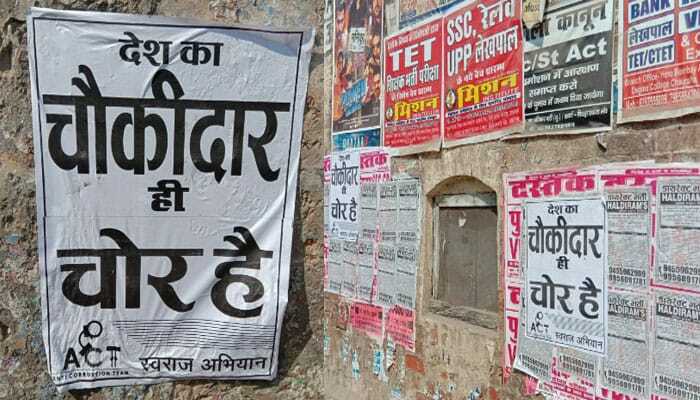 In 2019, the battle with the chowkidar (watchman) slogan has got more interesting, becoming a case study for advertising and marketing students. For several months now, Congress president Rahul Gandhi has been harping on the point that Prime Minister Modi stole around Rs 30,000 crore tax payers’ money and put it into the pocket of industrialist Anil Ambani. The junior Ambani’s newly-formed Reliance Defence was chosen as the offset partner by Dassault — the French company which got the deal to manufacture the Rafale fighter jets. Rahul alleged that the Prime Minister deprived government undertaking Hindustan Aeronautics Limited (HAL) of the contract. HAL was supposed to be the offset partner for Rafale in the initial deal. In attacking the Prime Minister, Rahul Gandhi “ambushed” on the term chowkidar, which was earlier used by Modi himself, when he had declared that he would be the country’s chowkidar, promising to neither indulge in corruption himself nor let anyone else do so. After all, it was at the peak of corruption charges against the UPA government, that Modi had received a huge mandate in 2014 to become Prime Minister and lead the country towards a corruption-free era. Rahul adopted an ambush marketing strategy, borrowing from what Modi had coined and floating “Chowkidar chor hai”, alleging that Modi was to blame for corruption in the Rafale deal. Rahul raised the slogan at each and every press conference and public meeting he addressed, and it was gaining traction. Anyone who remembers the “Nothing official about it” campaign by a cola company – to counter their rivals, who were the official sponsors of the 1996 Cricket World Cup tournament – would know what ambush marketing is. Modi and the BJP, which set an example of marketing-driven political communication during the 2014 election campaign, were desperate to turn the tide. In order to do so, the BJP “ambushed” on Rahul Gandhi’s slogan and launched the #MainBhiChowkidar campaign. Here, not only did the Prime Minister use the “chowkidar” branding, but also involved other party colleagues and supporters to use the same brand. Modi’s spin masters tactically diluted the target of the “chowkidar chor hai” slogan by producing thousands of chowkidars among Modi’s colleagues and supporters. The Prime Minister appealed to countrymen to join his fight against corruption, dirt and the evils of society. He spoke to lakhs of watchmen across the country through an audio conference. This campaign too received traction. Though he is the main face in this election battle, for the last couple of months, especially after the defeat in three crucial state elections, Modi has been trying to reach out to BJP workers through video conferencing, underlining their importance in winning this year’s election. He is reminding them that this election is not just about him, but also about the hard work of the workers. Never before in the past four years has the Prime Minister turned to grassroots-level party workers and even his colleagues to shift the ‘’burden” off himself. Similarly, this attempt at sharing the chowkidar badge with leaders and supporters is a tactical move to change public perception. In political communication, ambush marketing or counter-marketing is supposed to do exactly the same: change the perception of the audience. Putting aside the debate on whether this ambush campaigning is going to help the BJP or if it is a ploy to divert people’s attention from other burning issues, one thing is clear: that the Congress has, so far, failed to create any counter-narrative or bring up any counter-term to demolish the #MainBhiChowkidar narrative. 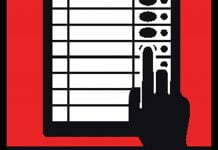 Election season has just begun and with the spin masters working day and night in both camps, we will surely see more such masterstrokes in the coming days. Many are predicting that the chowkidar brand is not just going to dilute the allegations against the Prime Minister, but that it might also replace his 2014 chaiwala brand.